What are some common misconceptions about NMO? BW: Many physicians believed that NMO occurs primarily in persons of Asian ancestry. While NMO was recognized as a distinct and relapsing disease in Japan, it is probably because MS was relatively rare in Japan 50 years ago, and NMO was more easily recognized in Japan being relatively more common in Asia than in western countries. In western countries, NMO was relatively rare compared to MS and was usually misdiagnosed as multiple sclerosis (MS). The specific characteristics that allowed NMO to be distinguished from MS, such as long spinal cord lesions on MRI and aquaporin-4 antibody test, were not recognized until the past 10 years. Most patients in western countries with NMO are white. Two other misconceptions that prevented recognition of NMO were mistaken beliefs that NMO did not relapse or recur following a first attack, and that it was usually fatal; relapsing cases of NMO were diagnosed as “MS” because it was believed that all relapsing cases of optic neuritis and myelitis represented MS. We now know that the vast majority of persons with NMO experience relapses, unless they receive effective immunosuppressive treatments, and that when appropriately treated, it is uncommonly fatal. Have you observed a positive change in the course of treatment for NMO patients over the years? BW: Yes. Just a decade ago, when we reviewed our experience with cases of NMO at Mayo Clinic, we found that there was a high mortality rate in the first five years, usually in the context of attacks of high spinal cord transverse myelitis that caused breathing problems. Now, we have effective treatment for such attacks. We have observed several patients with severe paralysis and breathing difficulties due to NMO who could not be weaned from a ventilator who experienced dramatic improvement following correct diagnosis and treatment with plasma exchange. Most patients with NMO were treated with MS drugs a decade ago, because the diagnosis was not made. Patients were treated with MS drugs, but we now know that these drugs are ineffective for NMO. Today, we can make the diagnosis reliably in the majority of individuals after the first symptom, and we have several drugs that prevent the majority of the attacks. We still do not have ideal drugs that are either as safe or as effective as we would like; we have to do better. BW: The NMO-IgG (also known as aquaporin-4 autoantibody) test is very specific when positive, but not completely sensitive; in other words, a negative test does NOT rule out the diagnosis. In fact, approximately 30-40% of cases, particularly persons with early symptoms (e.g. first transverse myelitis or optic neuritis) do not test positive for the antibody. Retesting may be of some value after several months or years. Likely, technical improvements will reduce the proportion of patients who are missed, but it may turn out, based on experience with other antibody-induced diseases, that not all cases will be positive even with enhanced testing techniques. In patients who meet all other clinical and radiological criteria, a diagnosis of NMO can be made with reasonable confidence, although physicians should be more careful to reassess the accuracy of the diagnosis in patients with a negative antibody test than in those with a positive antibody test. Can someone please clarify the difference between a flare and nerve damage? I am also experiencing burning sensations in my leg and back, however my neuro always tells me that it is nerve damage and hopefully in time it will heal. Could this be a flare and do I need to do an MRI and treat it with IV Solu-Medrol? BW: Attacks (also known as “flares”, “relapses”….these are all the same thing) represent fresh inflammation that need to be treated promptly with steroids and, if necessary, plasma exchange. Attacks develop quickly and worsen day by day, if not hour by hour. Usually, attacks resolve over weeks to months. Attacks may leave some degree of permanent symptoms due to nerve damage in the optic nerve and spinal cord, such as the burning sensations that you mention. These symptoms are stable or may fluctuate, but change to a much more limited degree than symptoms of an attack. Worsening may occur when a person becomes overtired or overheated. These “more or less stable” symptoms tend not to resolve. One needs to cope with them; it is usually unnecessary to do MRIs to investigate such permanent symptoms or treat them with corticosteroids such as Solu-Medrol. 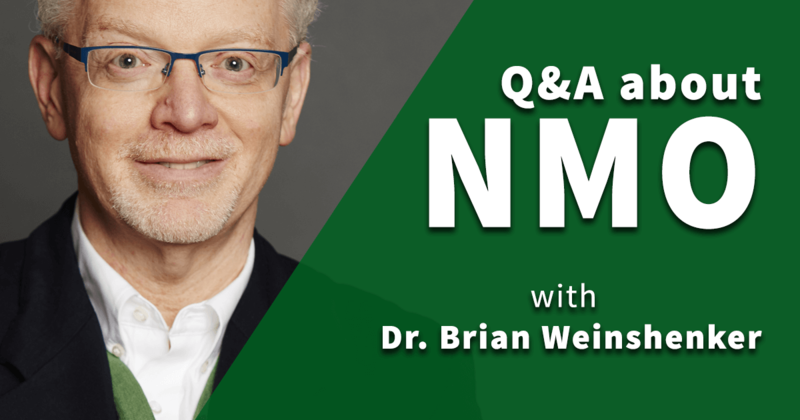 Brian G. Weinshenker, M.D., is a neurologist at the Mayo Clinic with specialty interest in multiple sclerosis, neuromyelitis optica and other demyelinating diseases of the central nervous system. Additionally, he is an expert in diagnosis and management of acute and chronic diseases of the spinal cord, including acute transverse myelitis, cervical spondylosis and other genetic, vascular and metabolic myelopathies.